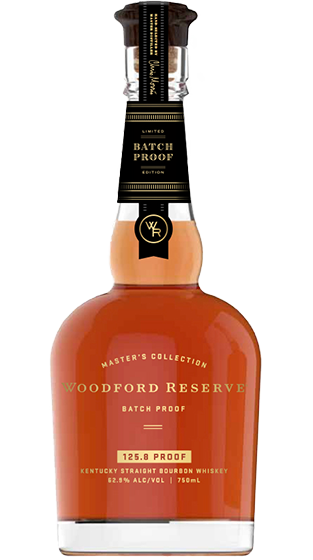 Tasting Note: Batch Proof is the highly limited, first-ever batch proof offering from Woodford Reserve. Continuing its innovation in whiskey crafting, Woodford Reserve Batch Proof is a straight bourbon whiskey from a select batch of barrels. This limited edition, Proprietary Batch of Woodford Reserve is bottled at 125.8 proof.